Setting up a baby registry can be overwhelming, especially for a first-time parent. There is so much stuff in those stores. Could something so tiny really need so much? The answer is yes, absolutely. Babies typically need a lot of gear. However, you certainly don’t NEED everything in the store. Here are some items you can do without. Sure, it makes your nursery look super cute. It’s very nice to look at…until your baby is actually born. Studies have shown that to follow “safe sleep” guidelines, you can not have anything in the crib nut the baby. Goodbye, adorable quilt. Goodbye matching thick baby bumper. See ya later, coordinating plush animal friends. I was warned about this, but did I listen? Nope! I had an adorable monster theme in my son’s room, right until the day we brought him home from the hospital. Then all that cute bedding got shoved into the closet and promptly forgotten about, never to be used again. 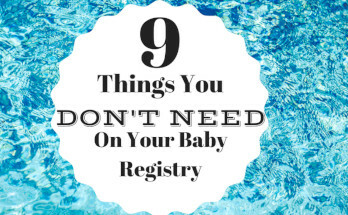 Take my advice, and skip it on your baby registry. These are just kind of gross when you think about it. Would you want to sleep next to a pile of your own excrement? I’m guessing not. Everyone knows that poop diapers are foul, but have you ever smelled a bunch of pee soaked diapers? Especially ones that have been contained in a small container for who knows how long? BARF! In my house we always threw pee diapers into a regular garbage can that is emptied daily. For poop diapers, we put them into a plastic grocery store bag, and tied them up before walking the out to the trash. From my experience, they don’t always work that well, or that quickly. I had a formula fed baby, and we mixed his bottles with room temperature bottled water. If we needed to, we would warm the water for a few seconds in the microwave before mixing the formula in. This was much quicker and more reliable, which is what you want when its 3 a.m. and you have a screaming child in your arms. For the love of whatever higher power you believe in, do not register for blankets! Trust me, you will get them anyway. I got so many blankets from my baby shower that I have a whole storage tub full that we have never even used. They are all homemade, and crafted with love, I am sure. But one tiny infant can only use so many blankets. 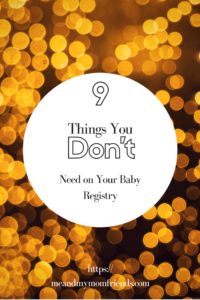 Just like with the blankets, there is no need for stuffed animals on your baby registry. You will get a ton. You will get them at your shower, and when baby is born, and when baby comes home, and when baby turns 1…you will soon have plush toys as far as the eye can see. Maybe register for a “lovie” for your baby. A “lovie” has a plush animal head attached to a small soft square of material. This one sounds great in theory. Maybe if the wipes are warmed, your tiny little angel wont pee all over you from shock during each diaper change. False. You will be peed on. A wipe warmer will heat the wipes just long enough for you to remove it and get it almost to your baby’s bottom. Then it will be cold just in time to touch said baby bottom. Don’t bother. The wipes aren’t THAT cold anyway. These are typically marketed toward boy moms. They are really unnecessary. Yes, you will be peed on a few times. Typically, when your child is very young and you haven’t mastered the lightning speed diaper change yet. But honestly, as a boy mom, all you need to do is pull the diaper back for a second and then recover them. 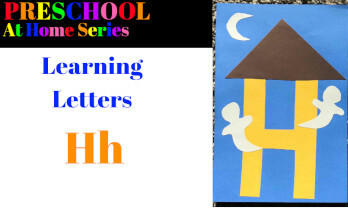 If they are going to pee, it will be when the cool air hits them, so as long as you cover for a second, the old diaper will absorb any urine that comes out and you can proceed with the change. No need to add this item to the baby registry. This doesn’t need to be skipped entirely, but don’t get carried away. Newborns typically live in either onesies or footed pajamas for the first couple weeks, if not months, of their lives. So I know all those teeny-tiny newborn outfits are adorable, but chances are good your child will grow before they even get a chance to wear them. You will get clothes at your shower regardless. However, the last thing any new sleep-deprived mom needs to be doing is running around trying to return or exchange a bunch of clothing her child outgrew in the first 5 minutes of life. I know, I know, they are so stinkin’ cute. But until your baby is walking, they do not need shoes. You will have a hard enough time keeping socks on your little bundle of joy. Not to mention, you will already be at the end of your rope trying not to lose baby socks. No need to add shoe tracking to the mix. So for anyone who is going to be creating their baby registry soon, I hope I have saved you some time. 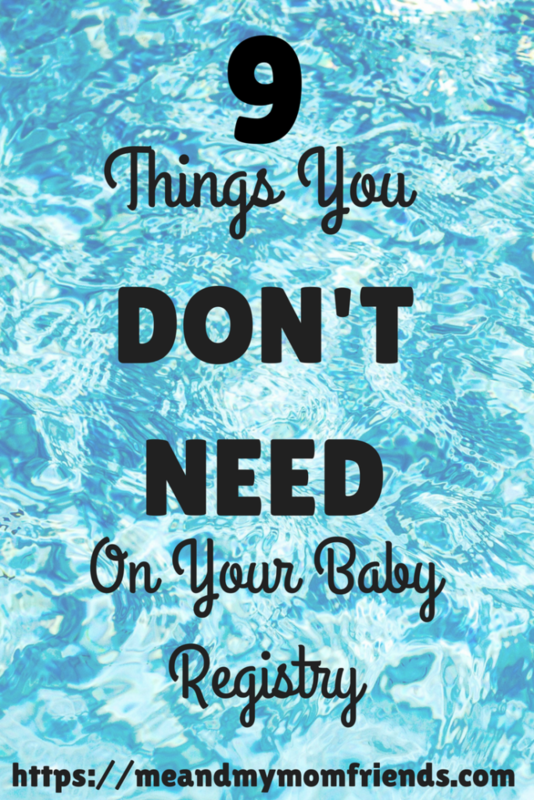 Make sure to check out my post on the 9 Things You Need on Your Baby Registry. 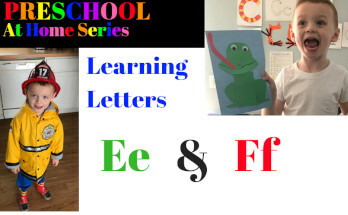 Learning the Letter H – Free Printable! 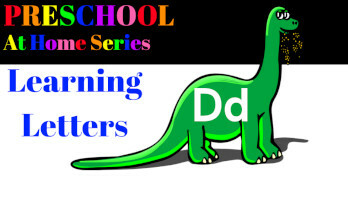 Previous Article Mom Shaming – Why it Needs to Stop Now!